When Arizona Governor Doug Ducey makes his next appointment of judges into the State Supreme Court, he will have selected more number of judges than any other Governors in Arizona before him. The judges he will be selecting would man the Supreme Court for years, and it is expected to fill all the seven seats of the court with conservatives. But there have been some doubts raised by Arizona voters and politicians about the court’s independence from the executive branch. Two years ago, Ducey was alleged of packing the court by expanding the number of seats on the bench. Last year his troubles increased when a staff of Ducey’s office had prior knowledge of a significant court decision, and one justice allegedly lobbied the Governor for his selection into vacant U.S. Senate seat. As per Douglas Keith, who specializes in fair and diverse courts at the Brennan Center for Justice, with his next appointment and another one later in this year, Ducey will have the chance to eliminate the perception that he is too cozy with the court or reinforce it. 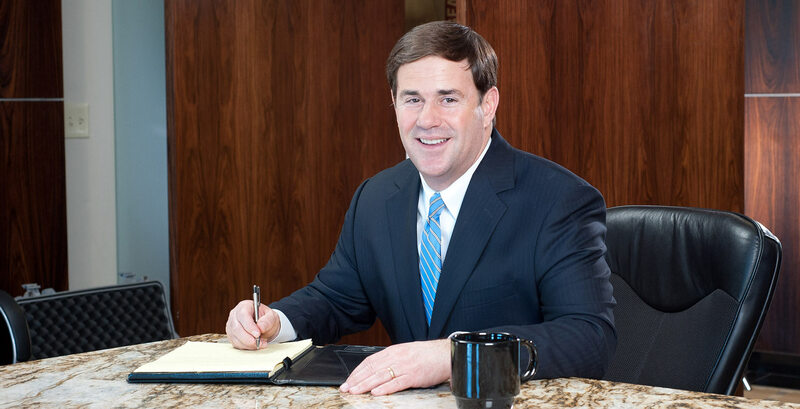 In an interview, Ducey stated that appointing judges to the court is one of the most important duties a Governor has to do. As per him, he does not evaluate judges on a particular parameter. But he prefers a specific judicial approach. He said he aims to appoint “constitutional conservatives,” who believe on small government, individual rights and “textualists,” who interpret laws based on their literal meaning. Bolick is known as the nation’s one of the most prominent libertarian legal activists for his work defending individual rights. Bolick has co-founded the Institute for Justice in Washington, D.C., with an aim stop what he viewed as government overstepping its bounds; held a senior position at the Goldwater Institute, which also advocates for limited governance; and has defended causes including parents’ ability to put public money toward private-school tuition. As per experts, a partisan bent could harm the court’s efficiency. It may affect both the court’s internal decision-making process and the public’s trust in those decisions. If all the judges think the same, the court could miss out on discussions and disagreements that could help them see the case in a different light. And if there is always a show of bipartisan in courts, the public perception towards the court may change. But he also accepted that the appearances matter. So, in this crucial time, when the judiciary is being affected by political interference, the duty of Governor Ducey possesses much importance. He should be expected to show a non-biased approach while appointing judges to the Supreme Court.